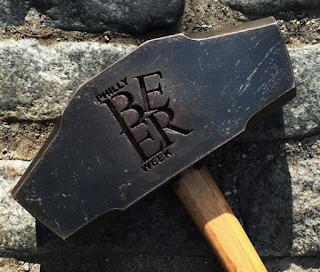 According to the official website, we're told that Philly Beer Week 2017 is only ten days away. Yes, you read correctly. This year it begins yet a day earlier to further imperialize our Beer Week. Thought it about time to check out the schedule and see what's a-happening this year and whether it's worth, as they suggest, taking any time off from the ol' day job. An undertaking the size of Philly Beer Week and the required organizational skills - coordinating many establishments and their hundreds of events across 10 er 11 days - is not for the faint of heart. Communicating everything the PBW-going consumer needs to know should be of paramount importance. Without them (well, both the consumers, and the details), what is there? The calls have already come in to the Brew Lounge hotline and I'm happy to report back that I'm here again, for the tenth year, to spreadsheetatize your PBW schedule to supplement, complement, improve upon the official website calendar of events. ~ 23 of the events are at one of the "beer gardens"
~ 12 are at The P.O.P.E. How's that to kickstart your thirst for great beer and Philly Beer Week 2017, the tenth edition?